Helukabel’s LifY are single core test leads in sleeves made of elastic PVC. The PVC used is self-extinguishing and does not spread flames. 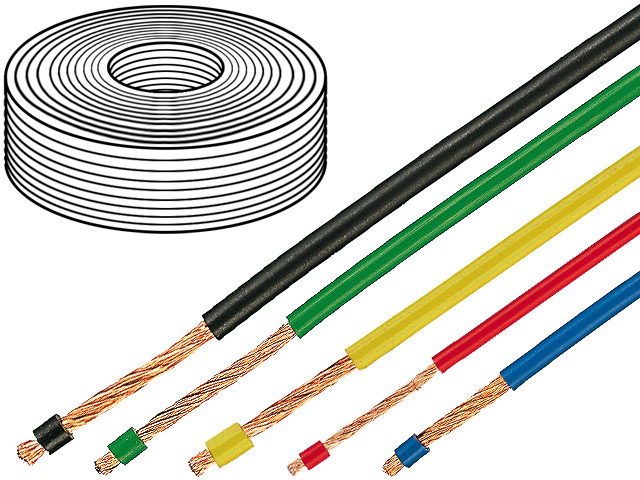 Nominal voltage of these wires is 1 kV, and bending radius in applications requiring frequent bending is only approx. 8x cable diameter. The LifY wires owe their flexibility to special design of the core, comprised of extra fine copper wire conductors, bunch stranded. The products can be used not only as test leads, as they are also perfect in many other applications where high flexibility is required. The materials used in the manufacture process are cadmium-free and contain no silicone, which is an advantage in applications where cables need to be lacquered. All LifY wires from HELUKABEL, regardless of transverse section of the core, are class 6.